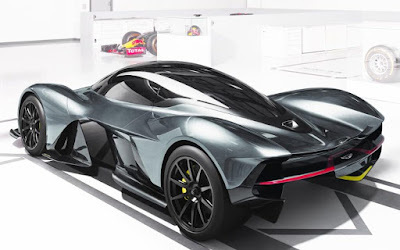 Are you remember with our previous article about this hypercar some time ago (jump to the article). 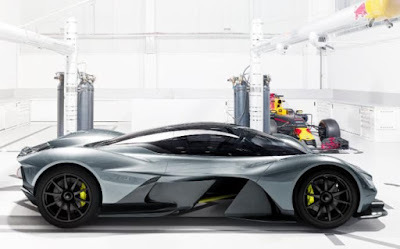 And now Red Bull Racing and Aston Martin have released the first image of the latest hypercar named AM-RB 001, which was inspired from the Formula-1 racing car. As in the F1, these latest hypercar also use the carbon fiber materials. As reported on the Telegraph, this hypercar has a radical middle naturally-aspirated V12 engine. 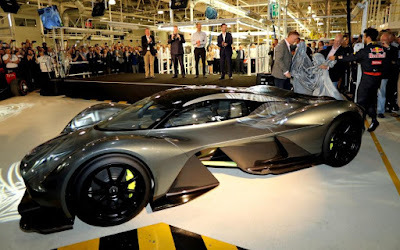 This machine was designed by the legendary F1 designer Adrian Newey, along with Marek Reichman and David King of the Aston Martin. 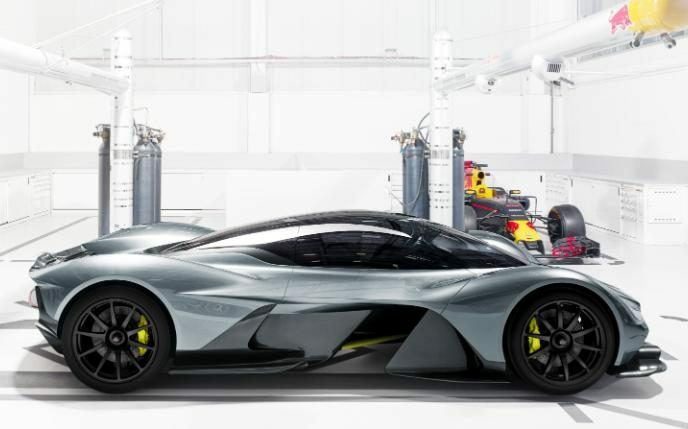 "I insist that these AM-RB 001 should be a real street cars (like the cars in general) which also have extreme performance on the race track. This means that the car must have two characters at once," said Newey. 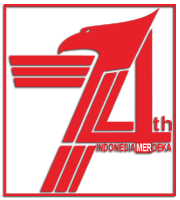 According to him, the two characters that is characteristic of this vehicle. 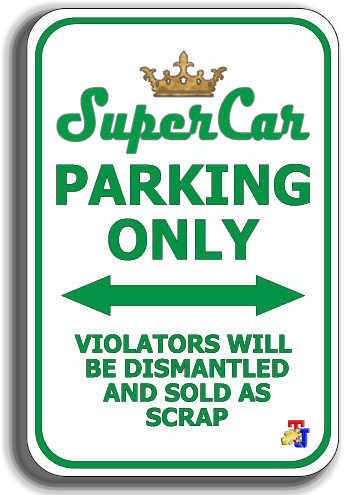 When used on the highway, the car is claimed to tame and comfortable. But if required in high speed, then the potential energy will be so pronounced. While the principal of Red Bull Racing team, Christian Horner said that they are always trying to develop advanced cars. "And the AM-RB 001 is the inspiring product of this collaboration spirit," he added.